Her father was killed by kidnappers in Iraq and she would later spend more than three years as refugee in Jordan. But Likaa Mohamad is not looking for sympathy. The Cuyamaca College student is too busy focusing on dedicating her life to helping the less fortunate. The straight-A student is certainly on the right track. 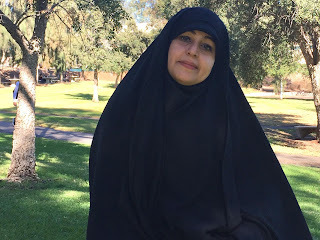 Mohamad is hoping to graduate in 2018 with at least two associate degrees – in child development and biology – before transferring to San Diego State University and then working at an orphanage her father founded in Nigeria. 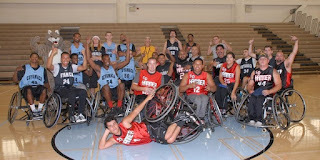 RANCHO SAN DIEGO – Cuyamaca College will celebrate the 20th anniversary of its Annual Wheelchair Basketball Game Oct. 25 with members of three local wheelchair basketball clubs teaming up with the men’s basketball team in honor of National Disability Employment Awareness Month. 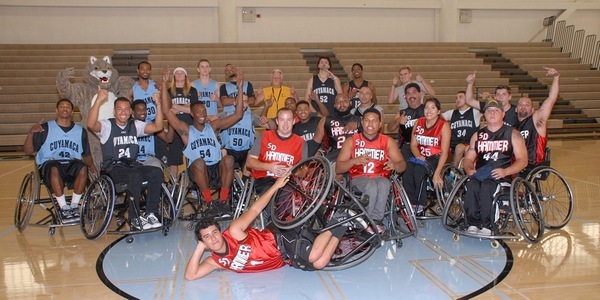 Sponsored by the Cuyamaca College Athletics Department, Associated Student Government of Cuyamaca College and Disabled Students Programs & Services, the annual contest will include players from the So Cal Sol, the San Diego Hammer and the San Diego Xpress National Wheelchair Basketball Association teams, along with the athletes, faculty and staff at the Rancho San Diego campus. Teams will comprise both wheelchair users and able-bodied athletes to demonstrate the strength and agility of those in chairs, leaving participants and viewers with a greater sense of appreciation for athletes with disabilities. “It changed my life,” Harrington said. 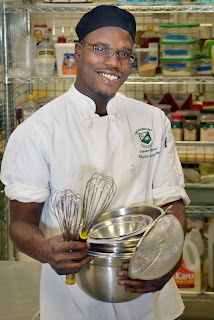 Now the 32-year-old Spring Valley resident is on track to earn a certificate of achievement in baking and pastry next June, he’s working as a baker at San Diego State University, and he’s determined to open a delicatessen or perhaps a food truck. He says he couldn’t have done any of it without Grossmont College, where he has secured a pair of scholarships to help support his dream.